I was pleasantly surprised by this book. 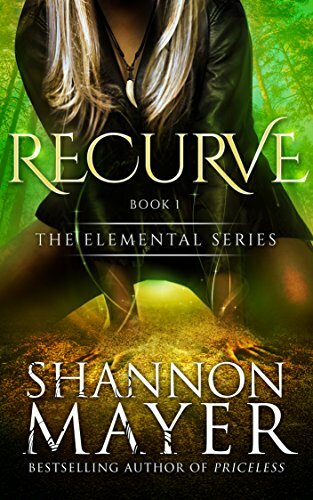 I am a fan of shape shifter books if they are written well, and this one really is. In this world shifters have come out to the world, and have been forced into shifter communities by the humans while having to wear collars to control there violent instincts. 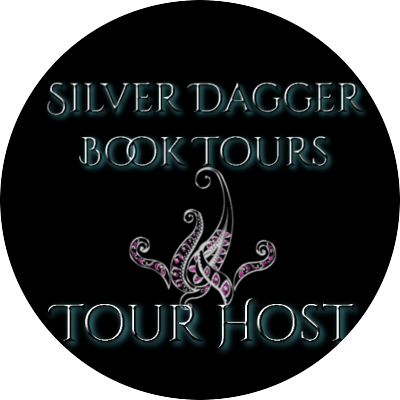 The main character Liam falls for a human, and the book follows there story as the attempt to blend their two worlds while dealing with shifter hierarchy at the same time. The plot line was strong with a few twists and turns along the way which I really enjoyed. I give it 4/5 stars. So I was lucky enough to gets my hands on an ARC copy of this book, and I am amazed!!! Chloe Neill has an incredible skill when it comes to her writing. 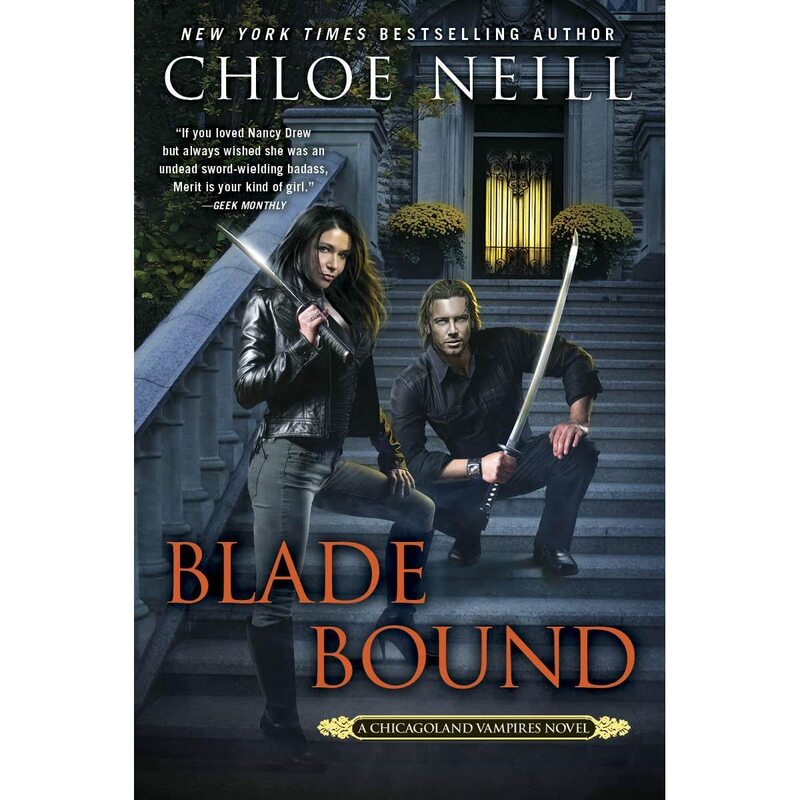 This is an excellent end to the Chicagoland Vampire series though I will admit that I will miss having new stories about Merit and Ethan. The characters are very well developed, and the plot line is so good it keeps you guessing all the way to the end. Overall an excellent book which earns 5/5 stars!! Hannah writes some excellent historical romances I must admit. She keeps everything historically accurate at least from what I can tell. Her characters are well developed, and the plot line keeps one interested until the end. Overall this was a great book and I give it 4/5 stars. I have to admit that I really enjoyed both of these books. They are the perfect blend of fantasy with a mystery thrown in. We continue to follow the adventures of Larkspur as she struggles to find out who she actually is, and what her powers can actually do. Breakwater picks up directly after Recurve with no gap in time. 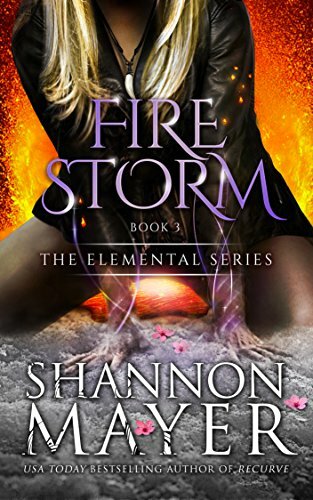 Firestorm continues this as the arching story line goes on. I loved it as it allowed me to keep up with her adventures without losing any of the details. They both earned 4/5 stars. Well this was an interesting book. In this world supernatural creatures are a given, and there was something called the reaping which made the humans turn on them. The only safe place for them to exist is as an exhibit in a traveling zoo hence the title. The main character finds out she is not human, and is sent there. This story is about her adjustments with a few interesting twists along the way. This is the first book in a trilogy and I will admit that I am really curious to see where the story will go along the way. Overall I give it 4/5 stars with much anticipation for the next installment. This is book two in the Gold Seer Trilogy. The first book was really good, and I had such high hopes for this one because having the ability to locate gold anywhere sounds like a pretty neat skill to have. It does continue the story line quite well, but it felt drawn out with things being highly predictable with the exception of her powers (cannot not elaborate without spoilers). The characters were highly developed I just felt that something different should have happened to them besides the evil Uncle though he is a necessary part of the story overall. The descriptions are quite good which provides a good picture of the setting, but some of the details seemed unnecessary. Hopefully the last book in the trilogy will be as good as the first since this one only gets 3/5 stars. This book was absolutely awesome!!! 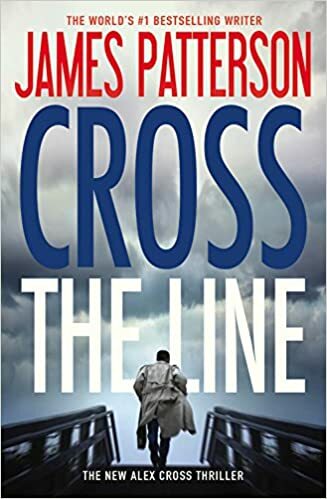 Now I will readily admit that a lot of Patterson's new books (especially the co-authored ones) leave much to be desired, but this one showcased why he is so good. The plot line was incredible, and it kept me guessing all the way to the end which I always like. Now if all of his books were this good we would be okay but alas they are not. I will happily give it 5/5 stars. 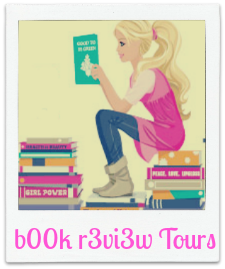 This is a new author for me, but I happened to win one of her books through a Goodreads giveaway which made me do a little research into what types of books she likes to write. This is book one in a series called The Elementals which implies some type of magic will be involved. The book definitely delivers on this aspect which made me happy as I tend to gravitate towards books that do. 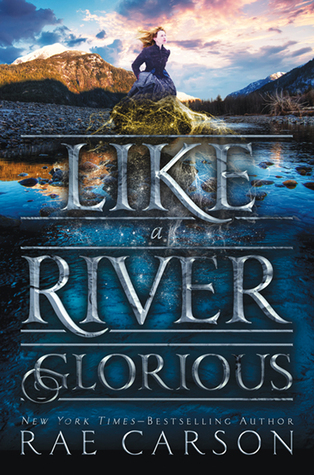 The main character is called Larkspur, and she is the child of a King with his mistress. Like usual this upsets the wife, ans she plots revenge which unfolds as the story progresses. The world building aspects are pretty good, and the characters are well developed making me like some while wishing violence on others. 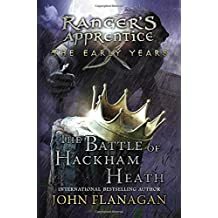 The story unfolds following a natural progression, and the ending sets things up nicely for the next book while still providing closer for this story. Overall I really liked it which earns it 4/5 stars. 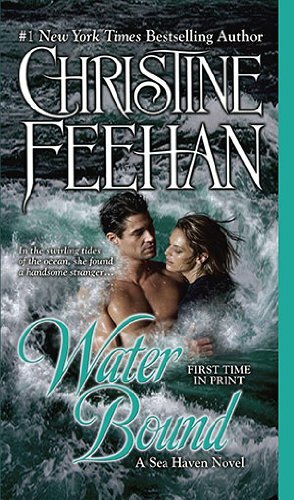 Over the last year and a half I have been making the effort to read all of Feehan's books, and the Sea Haven series is the last one for me to get through in order to complete my goal. This just happens to be book one in that series which means I am making progress at least. As usual for her books this is a romance mixed up with a dangerous problem that needs solved. I think of it as a combination romance novel and mystery novel which totally works for me. The main characters are Rikki Sitmore and Lev Prakenskii. For those of you that have read the Drake sisters series the name Prakenskii will sound familiar, and yes it is Ilyas' brother. This story picks up at the exact end of the last Drake book which continues the timeline hooking the two series together. 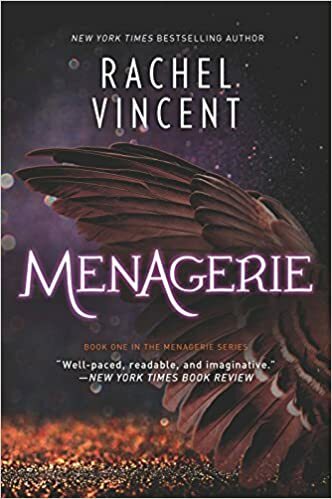 The characters are well developed and I enjoyed the fact that the romance moved along at a reasonable pace (if you have read some of her books you will understand this statement). They interact well with the community, and the dangerous parts are well described which kept me interested until the end. Overall I really liked it, but did not love it so it earns 4/5 stars total. There are currently only two books in this series: "Crime and Poetry" and "Prose and Cons." Both of them are the cutest little cozies ever. They are set in Cascade Falls which is near Niagara Falls. This is important due to the hot springs that can be found naturally in the area. These play an important role in the stories, and help build the foundation for the ongoing plot line which is awesome by the way. 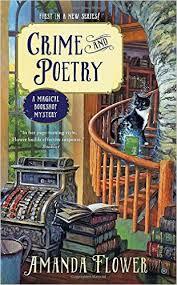 The main character is known as Violet, and along with her new cat Emerson as well as a talking crow she tries to investigate the murders that seem to keep happening around her. 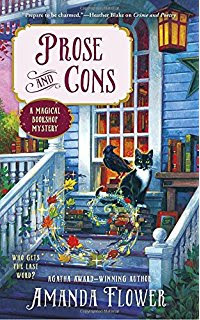 Her methods are purely accidentally which keeps the books lighthearted, but by the end you can't help but root for her to find the answers she is looking for as her magical bookshop gives her clues. The books are light, and fun making them a great read to lighten any one's mood. I loved them both, and felt that they deserved 5/5 stars. I would like to introduce myself a little bit for those that may be interested. I am in my thirties, married, with two children which just makes me a normal everyday person. The interesting part of my life is that I work at my local public library as a library assistant in both the Circulation and Children's departments meaning I am surrounded by books on a daily basis. This is a great place for me to be employed because reading is pretty much my life though I admit that it is sometimes difficult to stop myself from trying to bring them all home at once. My relationship with reading started when I was in kindergarten. I had a hearing problem that no one was aware of (including myself go figure) which made me fall behind in my learning. I quickly became me frustrated as the other kids seemed to pick it all up so easy while I continued to struggle with the simple steps. My first grade teacher found the problem, and a small surgery was able to fix my hearing issues. After the issue was resolved my teacher worked with me individually until I was caught up to my classmates, and then I worked on my own to surpass them. By third grade I was tackling Nancy Drew, and my love of reading just continued to grow after that.